A leading commercial laundry-and-textile rental business has launched a knowledge transfer partnership (KTP) with the University of Strathclyde to help them capitalise on its technological innovations. 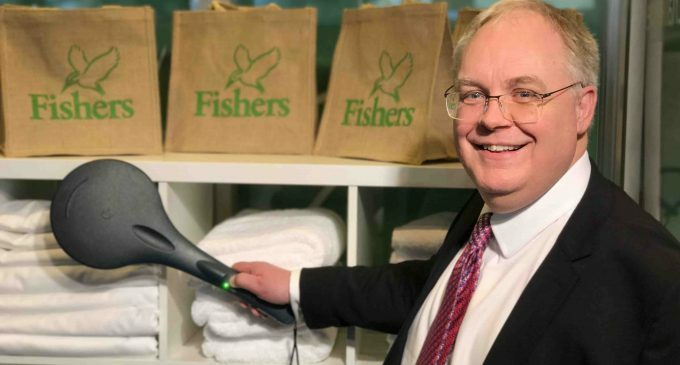 Fishers Laundry’s radio frequency identification (RFID) technology, which is currently fitted to its ZHEN bed linen and towels range, enables both the company and its customers to keep track of all textiles while providing detailed information on stock. It also allows Fishers to keep tabs on the whereabouts of its RFID-tagged laundry in the washing, delivery and collection cycles. Co-funded by a grant from the Engineering and Physical Sciences Research Council and the Scottish Funding Council, the two-year project is being run by the UK’s innovation agency, Innovate UK. Michael Jones, Managing Director of Fishers (pictured) said: ‘We’re committed to innovation, both to keep our customers ahead of the game and to ensure that Fishers can continue to provide the best service possible for those customers.